What Happens To Your Old Tyres? Ever wondered what happens to your tyres once we collect them? Here is a great article that has recently been written by Tyre Stewardship Australia. Scrap tyre disposal has always been a big issue across Australia. 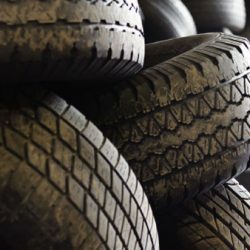 Despite increased interest from environmental and industry groups in finding more sustainable methods of tyre disposal, there are still legal loopholes in the system—and we’ve even seen an increase in irresponsible tyre disposal and dumping in recent times. We’re very pleased to announce that we’re now accredited with the TSA, Tyre Stewardship Australia, and their voluntary Tyre Product Stewardship Scheme. At S & J Australian Scrap Tyre Disposals, we’re conscious about our impact on the environment. 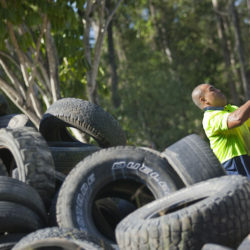 Tyres that have reached the end of their lives are a complex waste product, and they need unique methods of disposal and recycling to reduce environmental harm and resource wastage. It’s a special challenge, but one that we’re willing to undertake to benefit our economy and our country. S & J Australian Scrap Tyre Disposals has been involved in the legal disposal of scrap tyres since 1991. During these years there has been significant improvement in tyre disposal technology.